Concerned about the aging effects of sun exposure? 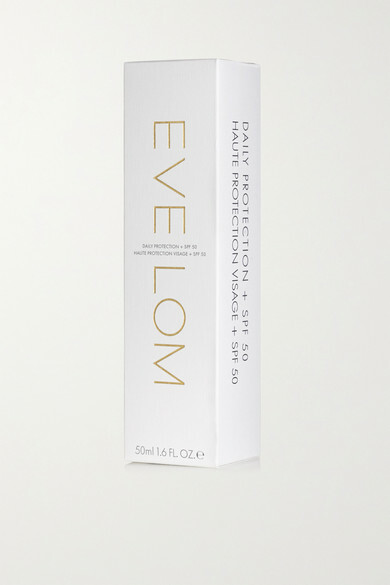 Eve Lom's lightweight cream contains SPF50 to guard against both UVA and UVB rays. This fast-absorbing formula is enriched with moisturizing Niacinamide to even out skin tone and support barrier function, Vitamins C and E to help prevent environmental damage and Paracress Flower extract to stimulate cell renewal and reduce wrinkles. The result is a more lifted, smoother complexion.